What is a Prescription-Only Drug Wholesaler Bond in Arizona? A Prescription-Only Drug Wholesaler Bond is a type of license bond. The purpose of the bond is to protect the state or governmental entity for certain things, such as the payment of taxes. How Much does a Prescription-Only Drug Wholesaler Bond Cost in Arizona? How do I get a Prescription-Only Drug Wholesaler Bond? We make it easy to get a Prescription-Only Drug Wholesaler Bond in Arizona. Fill out the form above and we’ll get right on this for you. Then we’ll get the Prescription-Only Drug Wholesaler Bond right out to you. Easy. Use of permit bonds and license bonds is an important requirement of a lot of governmental bodies to organizations before starting their functions. License bonds and permit bonds are the government’s strategy for ascertaining that all corporations authorized to function within their territory follow the governing rules in operating any type of business. For this reason, it is essential to acquire these bonds whenever an expert or any company or corporation decides to begin its operation. With these bonds, the government are assured that all laws and regulations governing that particular profession or business are strictly followed. These bonds also help the government easily detect a specific professional or company who failed to adhere to regulations and rules. Acquiring these bonds is therefore necessary for any professional or company who wants to begin a business. On this article, we help explain some information about license and permit bonds, including how to get a permit bond. There are different types of license and permit surety bond. Basically, the kind of bond that you will need may depend upon the nature of your business. The difference is the function, and how the bond protects the consumer. The primary purpose of license and permit bond is to help the customers recover specific amount of cash should the contractor fails to supply, and also to give them the right to sue the failing contractor. If you fail to execute as you have to, the customers can report your bond, which will result in investigation, which in turn leads legal action. Remember that non-compliance may result in possible loss for your company simply because you have disregarded the rules and regulations that cover your business or professional functions. You must not bend the law. Performance bonds are another common type of surety bonds. Its main purpose is to help the clientele have an insured project. In an infrastructure project, for example, delivery of quality project result is necessary. Meeting all specifications requested by the consumer is part of the quality services. The advantage of having a performance bond is that the client can be able to recover specific amount of the entire project cost due to the contractor’s non-compliance. This right and privilege is based on the argument that professional contractors have the skills, tools, and machineries to obtain the job done as prescribed, therefore there isn’t any reason for the contractor to violate rules. Failure to do that would prove otherwise. But due to the performance bond, there will not be a substantial loss on the client’s part. Obtaining license bonds is important to all contractors involved in construction business. The government demands the usage of bonds as a protection to consumers who engaged in professional services and construction businesses. The usage of bonds has many advantages, and the first one is the assurance of acquiring systematic processes. To be able to make sure that their business functions is reputable, all business professionals are required to stick to the set of rules given by the government. 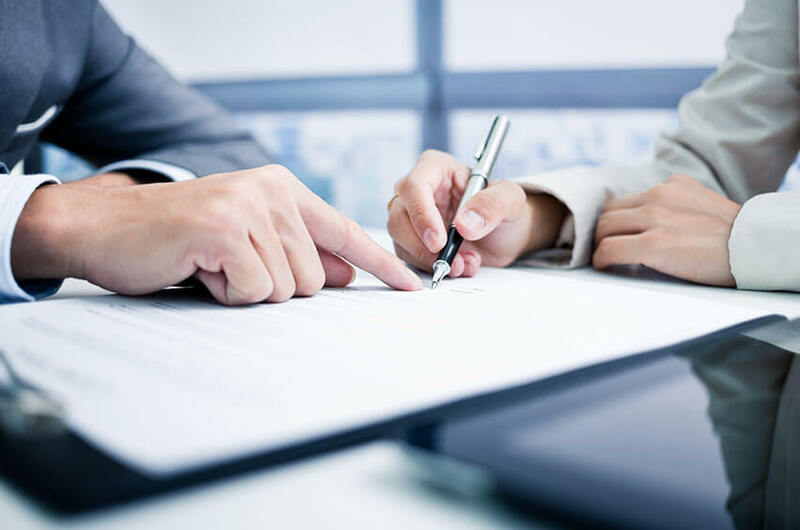 Due to the contractor’s irresponsibility, the clients is as a result given the right to file a case against the bond to be able to get the compensation they deserve. The consumer will get insurance that totals up to the bond available should a specialist fail to meet all the demands of the consumer. Consequently, this one major advantage protects all the clientele from businesspersons who fail to deliver as they promise. The government provide specifications on the regulations to be followed concerning infrastructure projects, and these should be adhered to totally. For example, the government can restrict contractors from building houses with more than two floors. These limitations are indicated in the permit bonds to let you understand the extent of construction that you may only provide. Applying for a bond is quite easy. If you plan to apply for a permit bond online, here is useful guidebook for you to adhere to. The first step to obtaining a permit bond online is obtaining an approved issuing company. You can use any device with Internet capabilities when accessing online permit bonds application forms. Once you access and fill the entire form, you have to submit it. Make sure to adhere to all the directions and guidelines while filling the form. You must also make certain that you fill all the appropriate fields. After submitting an application, you are going to get quotes. Based on the type of bond you need to acquire, the amount is mentioned in the quotation that you received. When you have made payment with the issuing company, you could now get your bond. Knowing the info about license and permit bonds is very important. To help you learn more about the license and permit bonds, here are some essential facts for you. Insuring a construction project, for example, does not suggest that you have to pay the whole cost of the project. Only relative amount is required, depending on the percentage stated therein. For instance, when selecting a bond worth a million dollars, you will only pay 1% of the entire rate. Second, the bond isn’t a license for your company. In fact, it protects the folks that you serve. With that in mind, it is safe to claim that the license and permit bond is an insurance for your clientele, for which you pay. It is essential to know all the rules and regulations of the government with regards to providing professional and construction services. One of these is the need for a license and permit bond, which is required to ensure that you gain your clients’ trust and confidence for the products and services that you offer. See our Arizona Private Investigator’s License Bond page here.